This is a Magnetic Torx screwdriver, mainly used to repair Xbox one, Xbox 360 controller, PS3, PS4 and necessary screwdriver for all types of Apple Macbook assembly. please aware this is not the ONLY screwdriver that youll need for all related repairs, you may need some other tools at the same time. 1.Premium quality, the bit is made of CR-V steel, durable for long time use. Note: If you have any questions or suggestions, you can click our store link Kingsdun Tools and Click Ask a question,well get back to you within 24hours. 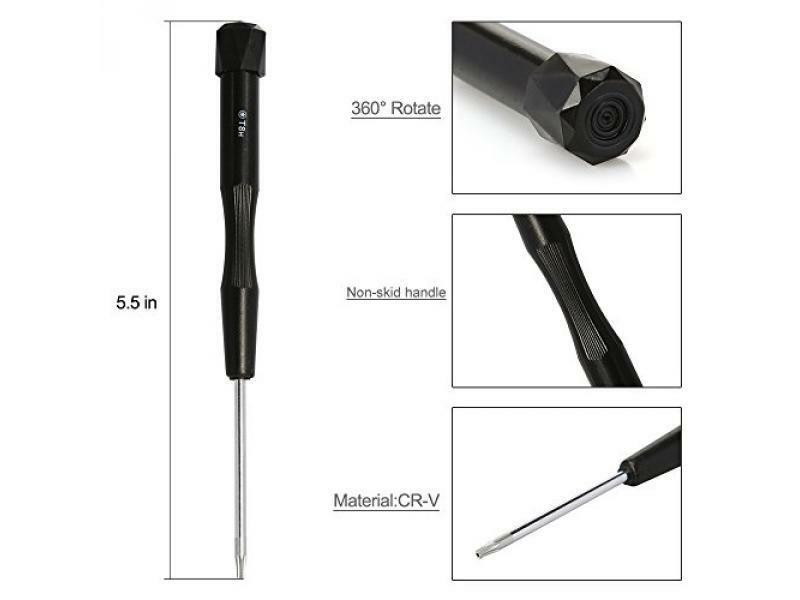 T8H security torx screwdriver bit, 6-point star screwdriver used to repair Xbox one, Xbox 360 controller, PS3, PS4 and necessary screwdriver for all types of Apple Macbook screen assembly. Magnetic Screwdriver, T8 torx head driver perfect for handling tiny electronics screws. Premium quality, the bit is made of CR-V steel with plastic handle, durable for long time use. Flexible head,non-skid design and professional repair tool. One piece for sale, get what you exactly need,money saving for useless tools.